How much will the carbon tax cost you and your family? Why do you deny climate change? Don’t you know we can’t afford not to act? Don’t you know that I have children that I am doing this for? Why do you hate the planet? Now we’ve been told by this government from the start that they are all about fact based, evidence based decision making. Never mind that two of their earliest decisions, other than putting Trudeau’s nannies on the public payroll, involved cancelling the Northern Gateway pipeline and stopping the expansion of Toronto’s Billy Bishop airport, neither decision getting a minute of study. It’s not about facts or evidence. This government believes in evidence and facts and we know this because they told us. So it must be true. Therefore we know that they have conducted a full analysis of what this carbon tax will cost the average Canadian family. Actually we know they have done this because they released a series of documents to Conservative MP and finance critic Pierre Poilievre showing the analysis in full. Well, except all the numbers were blacked out making the document useless. Let’s face it, they don’t want you to know. Poilievre has been relentless in pushing this issue in the House of Commons and asking the government why they won’t release this information. 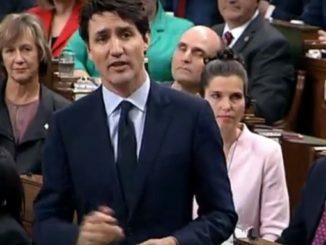 He was at it on the House again on Tuesday, a day after the Liberals released their report which shows the carbon tax will not meet the Paris Accord targets Justin Trudeau says are vital to saving the planet. 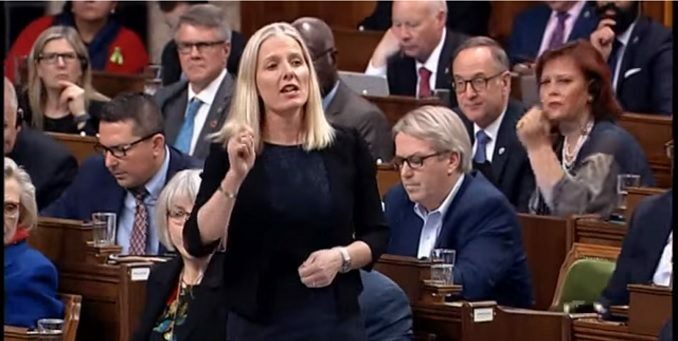 On Tuesday, Poilievre tried asking Finance Minister Bill Morneau how much his carbon tax would cost Canadians but every question was answered by Environment Minister Catherine McKenna. Maybe “answered” is being generous. Asked about the cost she pointed to her flawed report that carbon taxes work. Eventually she resorted to school yard type taunts, see the the 3:38 mark in the video below. Simple questions the Liberals won’t answer. Now the Liberals won’t answer that question, just like for weeks they wouldn’t answer the question of how much emissions would be reduced by under their carbon tax. I surmised weeks ago that they wouldn’t answer on the emissions reductions because it wouldn’t be enough and I was right. Now I’m willing to say that they won’t answer on the cost because most families will find it too high. Isn’t that the Liberal way, a high cost tax with a low return. A carbon tax high enough to hurt family budgets but not high enough to reduce emissions to the level Liberals want. 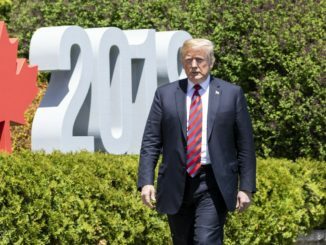 So we will see a higher carbon tax. Of course when asked about the possibility of a higher carbon tax on CTV Power Play on Monday, all McKenna would say is she would “reassess” after 2022. Is “reassess” a code word for jack the tax up? I mean, I don’t speak German or Russian, can someone help me out here? 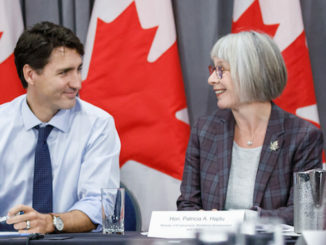 Multiple reports have said the Trudeau plan won’t meet the targets they say are so important, so will we see a much higher carbon tax after the next election if they are re-elected? My money is on yes, definitely, for sure. Plants take up CO2, keep the carbon (C) and release the oxygen (O2) which we depend on to live. Plants then bind the carbon (C) atoms plus nutrients from the soil into what we recognize as food energy, which we eat to sustain our lives. The O2 (released from plants) which we breathe allows us to release the food energy from the plant carbon bonds, and we exhale the released carbon as CO2. And the cycle of life continues. Carbon Dioxide is not a pollutant, it is the molecule of life! The food we eat and the air we breathe all comes from CO2, why do politicians insist it a pollutant and want to tax it? The poles are melting. What a stupid thing to say. Anyone can go on google earth and see that they are not. Your a liar Barbie, and not a very good one at that! I have actually never said this you tube so quit trying to make give up my post! The poles are melting. What a stupid thing to say. Anyone can go on google earth and see that they are not. Your a liar Barbie, and not a very good one at that! HI Brian, would it be possible to get any insurance companies to comment on the cost of climate change in regards to their pay outs? I’m thinking that this comment is just a ruse to cloud the issue. Kerr up the good work. When I first read about carbon tax in the 2006 election by the Liberal leader; I do not remember his name: but I said it was a gimmick to get votes to defeat the conservatives.